The Scotch whisky export market is expected to return to growth after battling numerous international challenges in recent years, the chief executive of the Scotch Whisky Association has said. 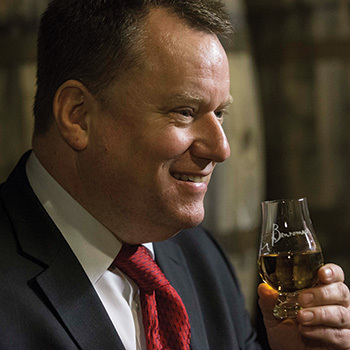 Speaking at a press dinner held in London last night, David Frost said the Scotch whisky industry is expected to report improved export results next year. “Looking from the inside, the industry is in a pretty positive mood,” he said. “We are used to cycles and expect twists and turns. We feel are prospects are good […] and Scotch will come back to growth in the year ahead. International challenges such as the on-going austerity campaign in China, “geopolitical risk” in Russia and the Ukraine, as well as currency issues in other emerging markets, have impacted the Scotch whisky sector in recent years. In 2014, the industry suffered a 7% drop in value exports, while volumes fell 7%. In 2013, volumes increased 3% but exports to China plummeted by 30%, subsequently knocking the region out of the top 20 markets for Scotch whisky. 2012 saw Scotch whisky exports fall by 5% as the sector battled against a troubled Eurozone and failing Japanese consumption. “Obviously the international market is important for us and what happens overseas determines what happens in the industry,” continued Frost. The SWA is expected to release its most recent official export figures next month.